The Children, Youth & Family Ministry facilitates the involvement, engagement, and spiritual growth of children, young people and their families at Trinity United Church. We encourage the inclusion of children as partners in our faith community with worth and gifts to share. 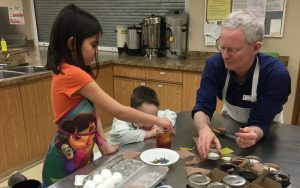 Our programs and services are intentionally inclusive; everyone is welcome, including children with varying abilities, backgrounds, families and faith experiences. Women are welcome to breastfeed their children whenever and wherever they are comfortable doing so. If you would like access to a private room, please let us know. The Ministry of Children, Youth and Families is currently being led by Don McNair.